Many people experience moderate to severe joint pain due to intense physical activity, various forms of arthritis, or other musculoskeletal health concerns. Conditions like gout are especially common among men and it can cause your joints to feel extremely sore. Pain medications can definitely help you to alleviate some of the symptoms, but the foods you eat can also have a big impact on your chronic joint pain. Unhealthy food choices including alcohol and sugar can certainly make your joint pain much worse, while a couple of healthier food choices can result in a significant decrease in your joint pain. Hyperuricemia is a condition that occurs when your body contains too much uric acid and cannot excrete enough of it in your urine. Chronic hyperuricemia can cause a number of serious health concerns that affect your renal system. Additionally, about 33 percent of people with hyperuricemia develop gout. 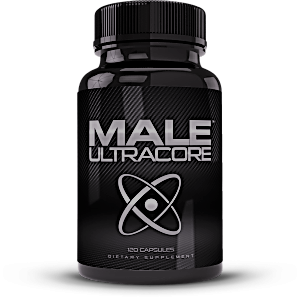 That number increases among the male population with hyperuricemia. Gout is a form of arthritis that causes intense joint pain, inflammation, and limited range of motion. Although gout can occur without hyperuricemia, too much uric acid is definitely considered a major risk factor. and you can excrete a higher concentration of it, which can treat and prevent hyperuricemia. Vitamin C prevents this process of uric acid reabsorption by inhibiting a transporter protein that is responsible for sending uric acid from your kidneys back into your blood. 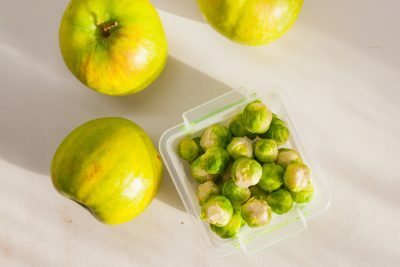 Additionally, the vitamin C in Brussels sprouts can improve other aspects of the function of your renal system, which means it can help your kidneys filter a higher concentration of uric acid out of your blood. Apples have compounds called polyphenols, which are an important antioxidant that can reduce inflammation. You want to avoid chronic inflammation because it can cause a number of serious health concerns, including many forms of arthritis, cancers, and other diseases that can result in joint pain. In order to avoid chronic inflammation, you have to prevent oxidative stress from causing longer term damage to some of your organs. Oxidative stress is when certain metabolic shifts in your body causes you have too many unstable compounds in your cells. These unstable compounds need to find a free electron in order to stabilize and they often steal electrons from important cell components such as your DNA. However, stealing electrons from your DNA can, in turn, destabilize your DNA, which can result in serious cell damage. Therefore, oxidative stress can have a serious impact if your body cannot reverse some of the effects of it. If you want to prevent oxidative stress from damaging many of the cells in your body, then your body needs a healthier way of providing free electrons to unstable compounds. Polyphenols and other antioxidants can provide those free electrons in order to reduce oxidative stress and the joint pain that it can cause. 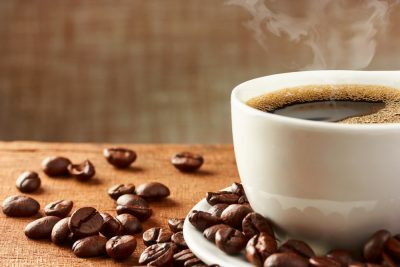 The research on coffee is actually very inconsistent, but the most recent research that controls for the most variables seems to suggest that coffee can reduce your risk of certain types of arthritis. Coffee contains chlorogenic acid, which is similar to polyphenols. It is also an antioxidant that can function to prevent oxidative stress and inflammation. Chlorogenic acid may also help with your sugar and fat metabolism, which can help you to reverse some of the effects of obesity. As long as your coffee does not contain too much milk or sugar, coffee can help you lose some weight. Since obesity and a high BMI can put your joints under a lot of pressure from the added weight, losing a few pounds with help from the chlorogenic acid in coffee can ease some of this joint pain. coffee can have the opposite effect by actually increasing your joint pain. Additionally, you do not want to drink too much of it or else you can also increase joint pain. Coffee can definitely work to help you with joint pain and arthritis, but you definitely only want to use it in moderation. You might not even need the caffeine in coffee to reduce your risk of certain types of arthritis. Even decaffeinated coffee might be good for your joints, especially when it comes to shorter term treatment of gout. Animal products including seafood, beef, poultry, and dairy can all make your joint pain much worse and they increase your risk of many types of arthritis. Therefore, you might want to replace some of the animal products in your diet with healthy alternatives like tofu. Tofu is a soy product that contains plenty of protein and clinical trials have demonstrated that arthritis patients who choose to eat a lot of soy products are less likely to need pain medication. 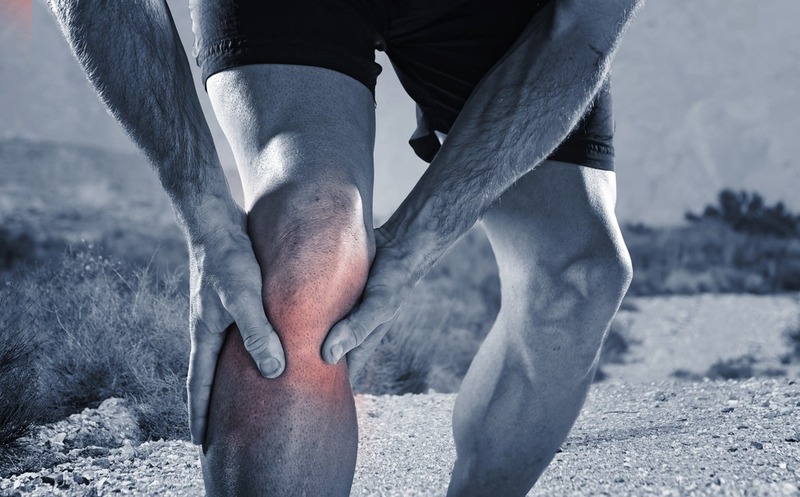 Soy products are also good at alleviating pain in men who experienced certain problems with their knee joints. Other studies show that soy can help your body produce aggrecan, a protein that your cartilage needs to in order to manage the stress it takes due to compression. By increasing the amount of aggrecan in your body, soy can protect your cartilage against degradation. Soy also contains isoflavone, which is a compound that resembles estrogen. Soy contains different types of different isoflavones. Some of them can act as an antioxidant to reverse the effects of oxidative stress and inflammation. Other types of isoflavones in soy products can increase your body’s capacity to use antioxidants. If you want to manage your joint pain, then changing up your diet is definitely a good start. You want nutrients that decrease inflammation and increase your body’s ability to carry out the processes that relieve pressure on many of your joints. You can always talk to your healthcare provider about which dietary choices can have the best impact on your joint pain.